Several wonderfully generous alumni have returned to St. Albans this fall to share their personal stories and their insights into the world with current students and teachers. Many brought artifacts connected to their lives, including a World War I bugler’s uniform, astronauts' favorite foods, and the Stanley Cup! Randy Kennedy ’73 came back to campus last August for a professional development conversation about diversity and equity. The Michael R. Klein Professor at Harvard Law School, Kennedy has devoted his career to teaching and writing about race relations and inclusion. 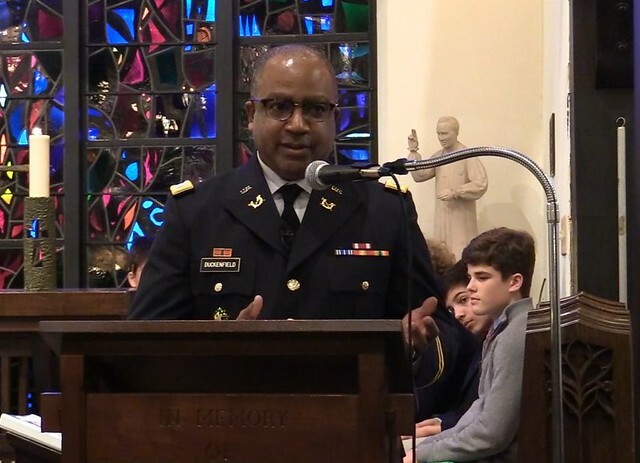 At St. Albans, Kennedy spoke to the faculty about the enduring significance of his St. Albans education and the challenges facing schools as they work toward creating inclusive communities at a time when so many societal and cultural trends are working against that. 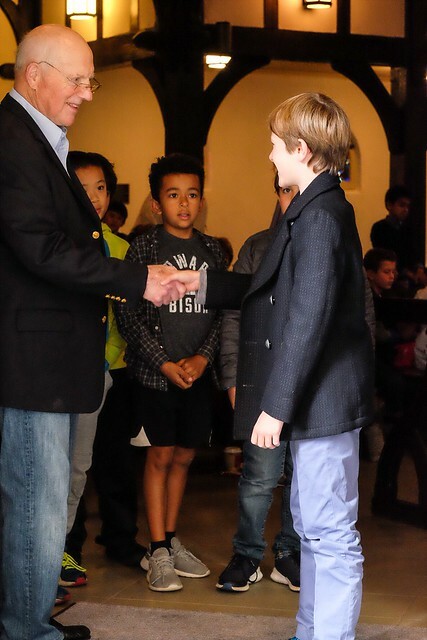 Form C and B boys had an exclusive interview with astronaut Rick Hauck ’58, who flew three flights on the Space Shuttle; once as co-pilot on the Challenger and twice as commander of Discovery. Meeting in the Little Sanctuary, the boys peppered Hauck with questions: “When you were right about to take off into space, were you scared or were you ready to go? Were your friends and family scared? Did it feel weird lifting off? When you got into space, did you feel different inside? Did any actor ever play you? The answers: Yes, Yes, Yes, Yes and No –but Dennis Quaid once chased Hauck to get his autograph. 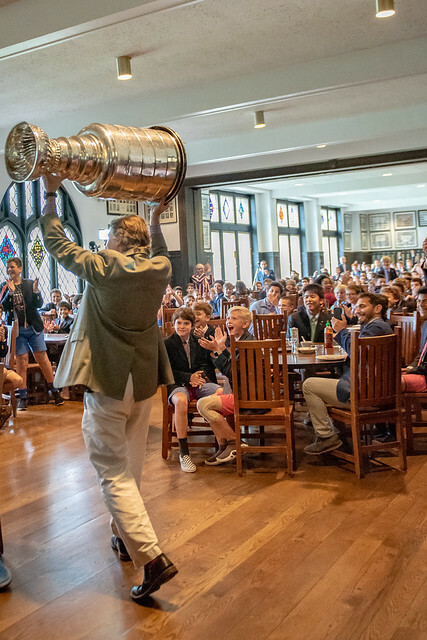 Caps Assistant General Manager Don Fishman ’87 and a team of classmates brought the Stanley Cup for a visit. Sports reporter Gene Wang ’87 reported on the event for the Post. 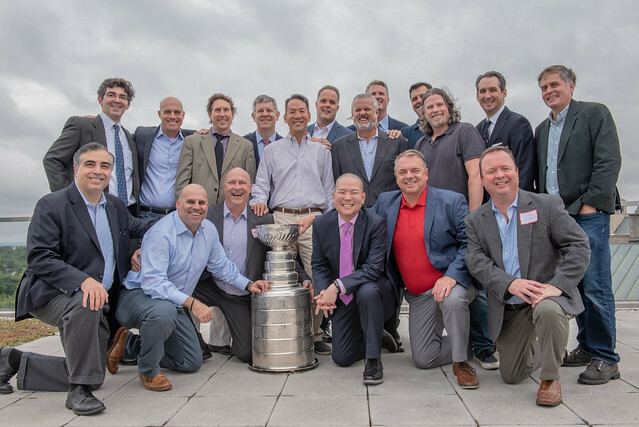 “Part of my secret mission with the Caps is to build a generation of Washington sports fans who are going to root for the Caps,” Fishman told the Post. 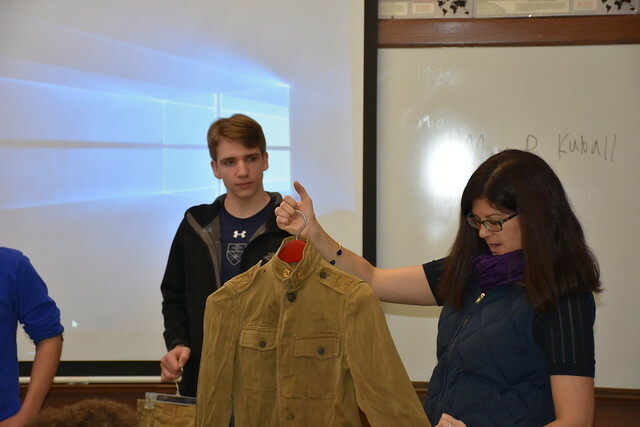 At the invitation of his little brother David ’22, Alden Summerville ’18 brought their great-grandfather’s World War I uniform, bugle, and portrait photo to Noel Schiller’s Form II United States history class. Students gained insights into the value of studying primary sources and artifacts with known provenance. Two alumni—Taylor Barker ’12 and Ted Eagles ’54—have joined us as substitute teachers, filling in while Upper School history teacher Rob Shurmer fulfills jury duty. 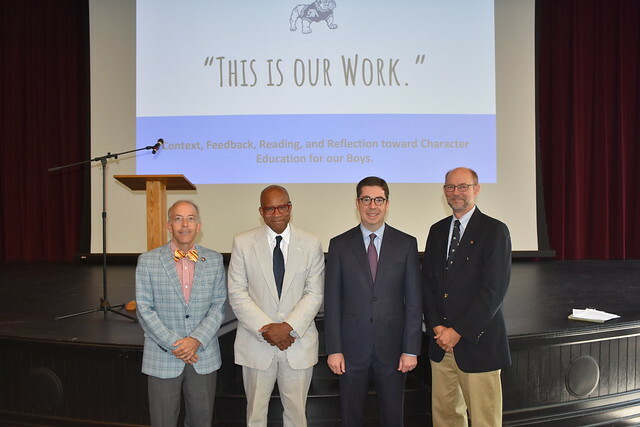 As they return, they are sure to find a familiar face—whether a former teacher, or a fellow alum now on the faculty and staff, including Lanier Frank ’79, Jim Ehrenhaft ’83, John Campbell ’85, David Sturtevant ’92, OJ Johnson ’97, Kevin Mullin ’97, Steve Wheeler ’97, Ryan Kinney ’99, Will Segal ’00, Cam Dantley ’04, and Martin MacIntyre ’05.